Highland Feather introduces its premium quality European white down duvet. 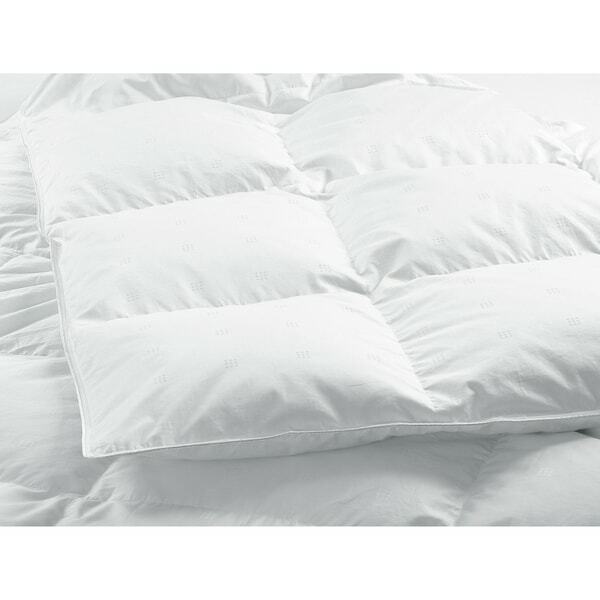 This European white down duvet is filled with Montpellier European White Down, soft, natural and pluffy down with 700 loft, Canadian Standard. 500 thread count, 100% cotton casing. European down proof in white color. The duvet is treated with Mesentex-Sanitizer treatment. The construction of duvet is square baffle box to prevent the down shifting inside the boxes. This duvet will provide years of warmth, comfort for many peaceful night's sleep. An ideal and affordable addition to any bed rooms including master bedroom.